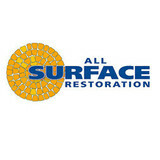 Founded in 1990, All Surface Restoration specializes in pressure washing, pressure cleaning, stripping, sealing, refinishing and preservation of exterior surfaces only. We are also an e-commerce retailer of our exclusive line of restoration products: deck cleaner, deck stripper, deck brightener, efflorescence cleaner, brick paver sealer, stamped concrete sealer, stone sealer & masonry sealer. We ship restoration products by UPS ground to all 48 continuous states. We pressure wash & seal all exterior surfaces such as wood decks, brick pavers, natural stone, concrete and masonry. We clean composite decks to remove mold spots & stains. We seal composite decks to help prevent frequent recurrence of common stains. We pressure wash all exterior surfaces including gazebos, pergolas, patio furniture, tennis courts, siding, brick, block, boulders, stone, masonry, retaining walls, patio’s, walkways, driveways, porches, pool decks & garage floors. We have the knowledge, skill and products to deliver excellent results on each & every surface. We are focused on customer satisfaction and committed to go above and beyond on each and every surface restoration project. Our staff is highly experienced & focused on providing top quality workmanship. We carry full business liability & workers compensation insurance. We have many references available upon request. EcoGranite products are environmentally friendly and produced from solid 1 1/4" recycled granite. The granite is 100% post consumer waste from countertop manufacturing that would otherwise be sent to a landfill for disposal. EcoGranite pavers and veneer (tiles) are very high quality and can be used for fireplaces, outdoor bars, sidewalks, patios, walls, interior tiles, driveways, firepits, or any other application you can dream up. We receive a multitude of different colors and types of stone and sort them to produce a light blend mix, a dark blend mix, and a total blend of colors mix. 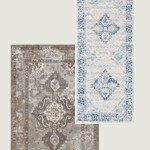 The beautiful mix of colors and texture are sure to compliment and enhance any project that you are working on. 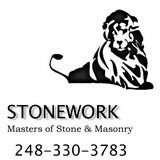 Stonework is an award winning full service stone and custom masonry provider. From design to completion, we can work with the design team and general contractors to ensure your vision is within budget and completed on time. We have been providing the highest quality stone, brick and masonry for over 25 years. Our use of AutoCAD helps reduce costs for the client and also facilitates our work with landscape architects and contractors to help them integrate hardscapes and masonry elements into their designs. J.L.R. is a Metro-Detroit based company ready to serve you where you live. With 17 years of experience in supporting the outdoor recreational living goals of our community Our company is the only call you need to make to re-imagine your outdoor living space. Most of the time, we can schedule your appointment in less than 24 hours from the very moment you call. Excellent client communication is at the heart of our business. 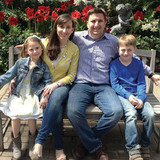 We will take the time to get to know you and your outdoor living goals on a schedule that works for you. We promise, quick responses to your e-mail or phone inquiries and regular updates throughout your design and build experience. 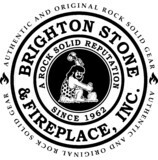 Brighton Stone & Fireplace, Inc. is a family owned and operated business proudly serving Southeast, MI. for over 50 years. The following products & services are amongst the many provided by Brighton Stone & Fireplace, Inc. : Natural & Man made Stone veneers, Thin brick veneer, Wood & Gas Fireplaces, Stoves & Inserts. We also have a full scale landscape supply yard that offers everything from pavers, retaining walls, decorative stone, mulches, boulders, flagstones & much much more. So whether you are the do-it yourselfer or looking to have the work done by the professionals, let us be your one stop shop for all your indoor & outdoor needs. Albaugh Masonry Stone and Tile Inc has provided the highest quality masonry construction to its many clients throughout Southeast Michigan for almost 20 years. AMST takes a unique approach to your masonry project. We can take care of everything from budgeting, estimating, installation, logistics of materials, cleaning and caulking. So whether you are building a custom residence or a commercial building, AMST is a great fit. Our staff has trained employees with over 10 years service with our company. That means you are getting experienced craftsman on your project. Our facility near Telegraph and Dixie Highway allows us to stock some of the most needed materials and equipment, making it convenient to get them to your job. AMST is licensed, insured and bonded; those qualities along with having a Masonry special Inspector tested by the International Code Council on staff insure the integrity of our installations. AMST’s value in a quality approach has been the backbone of many successful projects. So whether you are a homeowner, taking care of some things around your home, or a general contractor that has the owner’s best interest in mind, AMST will be there to help you succeed. Looking to Enhance Your Outdoor Living Space? We appreciate your consideration and the opportunity to help. At JJW Brick.com, we understand you have an important decision to make on your landscaping project and we are here to simplify the process. We believe this should be an enjoyable journey for you from the initial design phase to the final steps of installation. You have a vision for the outdoor lifestyle you want, and we are listening! Our designs are professionally created by blending your vision and personal needs with our real world experience. 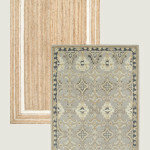 The end result is your desired outcome…Simple….Elegant…Timeless! JJW Brick.com is your premier Landscape Design Company specializing in Paver Stone Patios, Front Yard Landscaping, and Brick Paver Repairs. At Twin Oaks Landscape we share your passion of beautiful outdoor living environments and appreciation of reliable landscape service providers. "We focus on your landscape, so you can focus on what matters” is our fundamental business philosophy enabling us to convert our client's visions in to reality and truly manage their outdoor landscape. Since 1993, we have been providing first-class solutions for both residential and commercial clients for weekly lawn and landscape maintenance, as well as landscape design & build projects. In addition, we create engineered drainage solutions for unwanted water. We win clients over with our prompt and courteous professionalism, and retain them with our extraordinary care. We use only the highest grade, best quality polymer floor surface products which are formulated specifically for the Great Lakes region climate changes, typified by harsh temperature fluctuations, high humidity and moist conditions that affect particularly concrete floor surfaces. 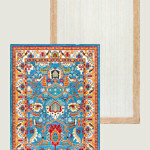 We value and adhere to providing superior customer service and take the utmost pride in our work. From the moment you meet us to the final floor surface coating applied to your floor, we guarantee your complete satisfaction. Your project becomes very personal to us and we pay close attention to each and every detail of your floor surface…start to finish. We stake our reputation on your satisfaction. 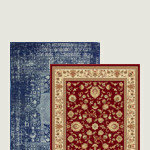 Our availability, educating you on our floor surface products and processes and our warranty guarantees are testimony to our commitment to you, our valued and irreplaceable customer. The typical products used in the floor surface industry have the tendency to fail over time, characterized by brittleness, fading, yellowing and de-lamination (peeling). Chemists are available to us at the corporate level to address changing needs in our products and installations that we determine are necessary to remain the premier epoxy floor covering company in the Great lakes region. Capital Stoneworks is Michigan's #1 stone supplier and fabricator. Capital Stoneworks offers complete and dependable line of architectural, building and hardscape stone full and thin veneer stone with materials from around the world. Fond Du Lac, Chilton, and Limestone are popular selections from quarries like Halquist Stone and Buechel Stone. Dexter Block provides a wide range of masonry services. Located in Dexter, Michigan, we pride ourselves on providing the best customer service available. We take the time to walk you through all of the available options for your project and help you select the one that will best suit your needs. From a completely new foundation to a simple repair, every job is important. At Dexter Block we take great pride in every project. Spurlock’s Natural Stone and Brick Paving is a hardscape company specializing in natural stone and brick paver installation based in Oakland County. With over 24years of business experience, Spurlock’s has grown from a one-man trade into a successfully run operation with multiple machines, trucks, and specialty crews. Our services include hardscape design and installation, water features, and repairs, as well as a complete masonry division specializing in fireplaces, outdoor kitchens, columns, and walls. Decra-Scape, Inc. prides itself for its ability to create lifestyles for people through our Craftsmanship / Experience / Imagination and the use of our products and services, both commercially and residentially, custom brick paving, natural stone, wet and dry laid, and retaining wall systems. At Reale Cement & Construction with other 34 years of experience in concrete, we put quality first. With old-world craftsmanship we believe that every detail of your job is important. For the most part, people hire a stone or concrete contractor for large installations like driveways and walkways, or for home facades and exterior columns. These brick, pavers or stonework installations can add lots of functionality and visual curb appeal to your Michigan home. Pavers come in a wide variety of colors, shapes and sizes, and the right vendor or specialist can help you choose a color and design that complements your existing landscaping. From installing new exterior columns to repairing your chimney, masonry contractors can help you add both visual appeal and value to your property. They’ll know what kind of installation makes the most sense for your Hamtramck, MI climate and regional style. Looking for something that will develop a patina with time? Or would you rather have your home feel brand new for years to come? Choosing the right kind of stone involves thinking about the future, too. Experienced brick suppliers and stone suppliers can help you find the material that will work for your home now and for years to come. These professionals aren’t limited to exterior work either. Whether you want a split-stone granite wall in the kitchen or need help installing traditional brick masonry on your fireplace facade, you’ll want a professional to get it right. If you’re already working with an architect or designer, he or she may be able to suggest a good Hamtramck, MI subcontractor to help out. Here are some related professionals and vendors to complement the work of stone, pavers & concrete: Landscape Architects & Landscape Designers, Architects & Building Designers, Garden & Landscape Supplies, Driveways & Paving, Siding & Exteriors. Find stone, paver and concrete professionals on Houzz. Search the Houzz Professionals section for Hamtramck, MI stone, paver and concrete professionals. Browse photos and read reviews, and contact a pro if you like their work.